Son of a family friend, Daksh is diagnosed with Aplastic Anaemia. 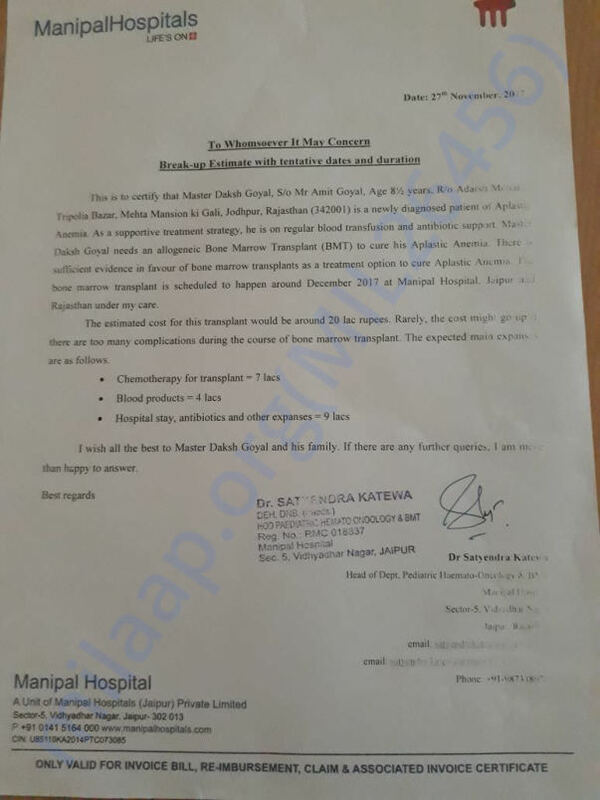 Doctors have advised for Bone Marrow Transplantation in the 3rd or 4th week of December. BMT will cost about Rs.20Lakhs n Daksh 's family cannot afford this huge amount. We are running a campaign to raise funds. 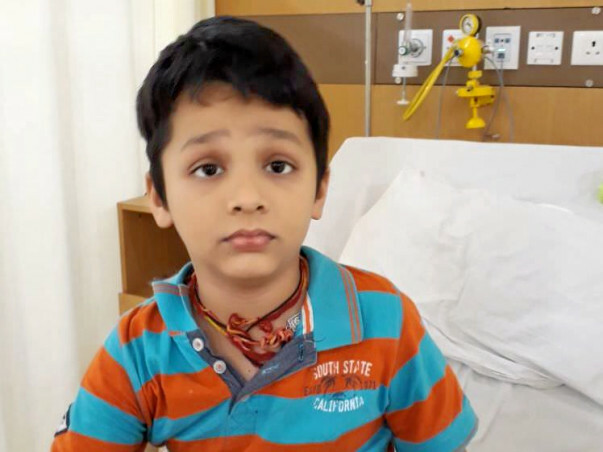 Please help us raise the funds and help the family in getting Daksh treated. Daksh's mother is from Nursing profession working as ANM at Health Sub centre LOHAWAT Dist.Jodhpur Rajasthan. His mother is Mrs.Sarita Goyal, Ph.80059 30804, 9799317759. Help here with whatever you can. Daksh is currently going through chemotherapy and his condition is stable. His bone marrow has matched with his father and mother. We hope that he goes through the operation soon and get back his normal life. Will keep you posted.